Berghahn Books - Who is María Lionza? By Roger Canals, lecturer in the department of social anthropology at the University of Barcelona. 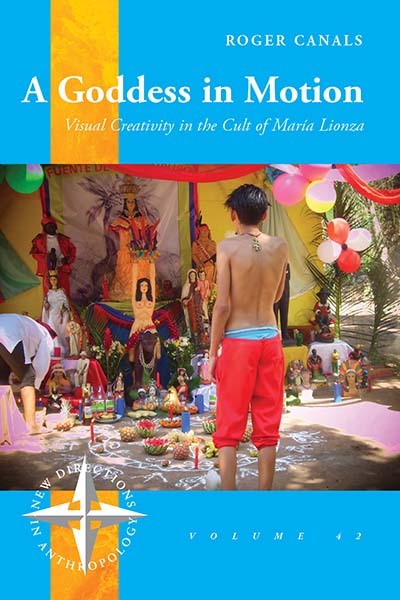 The book A Goddess in Motion: Visual Creativity in the Cult of María Lionza finds its origins in my vivid interest in Afro-Latin American religions, art and visual anthropology. I understand the latter in a broad sense, that is, as an anthropology of images, as an exploration on the act of seeing and being seen, as a visual ethnography and, lastly, as an attempt to write and publish the outcomes of our research, including visual material. The main goal of A Goddess in Motion: Visual Creativity in the Cult of María Lionza is to explore how this goddess is represented and what people do with –and through– her images in contemporary Venezuelan society and abroad. For those who do not know this amazing figure, let me tell you that María Lionza is a fascinating goddess, still highly unexplored by academia: symbol of the Venezuelan identity, she is represented as Indian, White, Mestiza and as a Black woman, sometimes benevolent and sometimes evil, at once represented with a high sexual component and at once depicted as a mature woman close to the Virgin Mary. The images of María Lionza may be found in many different locations, where they play a variety of roles: on religious altars, in museums and galleries, on television, on the Internet or on the walls of the streets of Venezuelan cities, to mention just a few. Moreover, María Lionza can “descend” into the mediums’ bodies or “appear” in dreams, visions and apparitions. The challenge of this book is to think of all these images (material, corporeal and mental) as a whole, that is, as a sort of dynamic and open network in which practices, discourses and visual representations mingle. One of the key concepts of this book is the notion of “creativity”. With this notion I allude to two different things, although intimately interwoven. On the one hand, I refer to the processes of production of new images of María Lionza and to the resignification of pre-existing ones. In this regard, my interest lies in understanding why artists and believers constantly experiment with the images of the goddess and why they put such effort into reinventing her representations. Visual creativity also refers to the construction of visual compositions—such as altars—or the reinterpretation of ancient images of the goddess. On the other hand, by visual creativity I allude to the creative nature of the act of looking within the cult—the fact that looking is much more than just receiving external impressions; it is a way of actively engaging with the outside world. Thus, within the cult, seeing has to do with provoking reality and not only with contemplating it. My argument is that, in one sense or another, visual creativity is consubstantial to the practice of the cult. It is indeed through acts of visual creativity that the relation with the spirits—and with other individuals through the spiritual world—is established, maintained, and reinvented. Therefore, visual creativity reveals itself to be one of the crucial elements making the cult work and evolve. 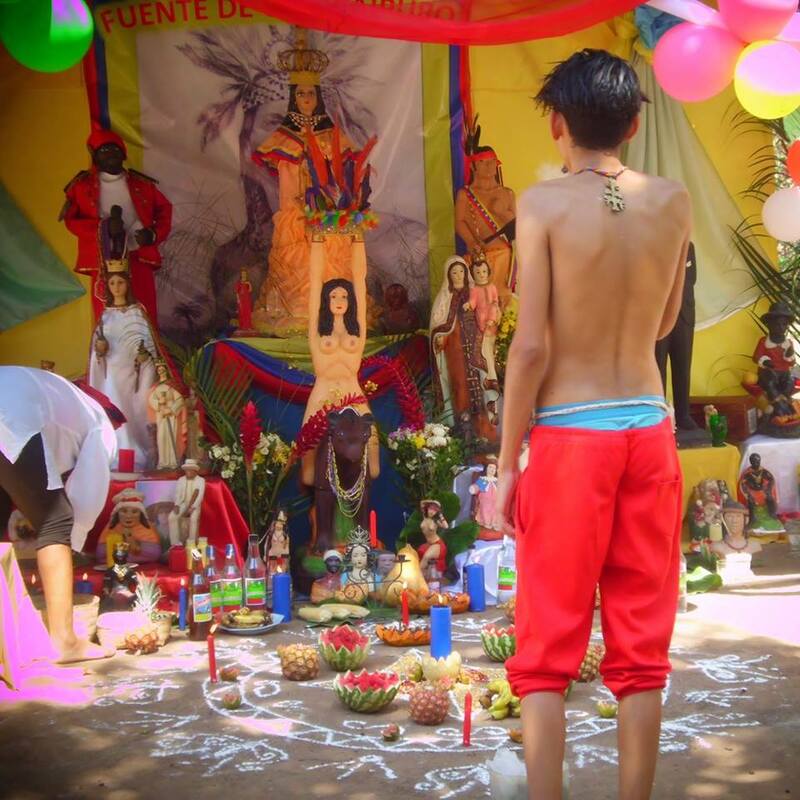 This book forms part of a broader project which includes a website (www.marialionza.net) and various ethnographic films, among which I would like to highlight A Goddess in Motion: María Lionza in Barcelona (The Wenner-Gren Foundation, 2016). With this multi-modal approach, my aim is to tackle the image of María Lionza from different theoretical perspectives and by using a variety of dispositifs of research with the final goal of getting a more complex and heterogenous approach to this figure and to its religious cult. Roger Canals is a lecturer in the department of social anthropology at the University of Barcelona. Besides numerous articles in visual anthropology and anthropology of religion, he is the director of several international award–winning ethnographic films, including A Goddess in Motion: María Lionza in Barcelona(2016). He was awarded the Fejos Postdoctoral Fellowship by the Wenner Gren Foundation.